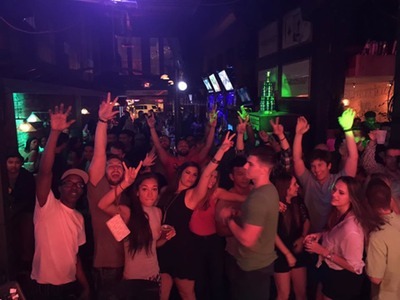 Sounds Of Stardom has been providing weekly karaoke entertainment in the Broward County area since 2001. We appear in several successful, well known bars and restaurants in the area, many of which we have maintained constant employment for a decade or more! Our commitment to excellence results in a great return on your weekly investment. We are focused on increasing exposure, sales and value in your establishment and are certain to make your weekly event the best it can be! Our music catalog is fully legal and compliant with current copyright/trademark guidelines. We are fully licensed with Sound Choice and Chartbuster to play tracks publicly. With all the lawsuits being brought against Karaoke companies and the venues that employ them, its more important than ever to ensure that you’re hiring a company that will not put you at risk! Read more about the risks of illegal karaoke here. We take extra measures to provide outstanding sound quality for your guests! All of our speakers systems are Bose sound systems, our microphones are all Shure brand, the music industry standard, and every component used is of very high quality to ensure excellent sound! This attracts the better singers in the area, which means a very impressive show made up of superior vocalists in your place of business! We can custom tailor our show to the exact needs of your venue! Showtimes can be chosen by you and can be changed to accomodate your crowd, we can monitor the content of the music performed by guests (many venues choose to have songs with profanity banned from their establishment), we can implement age restrictions as well (creating a cut-off time for patrons under the age of 18 or 21 or not allowing them at all). We want to make the show work for you and your guests! Our longstanding employment speaks for itself!